Giulia Ajmone Marsan is an Economist at the OECD Directorate for Science, Technology and Innovation. She is currently coordinating the OECD project on “Open Science” and is part of the team conducting OECD Reviews of Innovation Policy. She has been involved in several OECD projects related to regional development and innovation. Over the last few years, she has participated in OECD reviews of Central and Southern Denmark, Wallonia (Belgium), the Basque Countries (Spain), the Netherlands, France, Luxembourg. She regularly publishes book chapters and articles in international journals as well as working papers. She holds degrees in Applied Mathematics from the Polytechnic School of Turin, Italy, and a PhD in Economics from the Ecole des Hautes Etudes en Sciences Sociales, Paris, France, and the IMT Institute for Advanced Studies, Lucca, Italy. Kevin Ashley is Director of the Digital Curation Center (http://www.dcc.ac.uk/). The DCC’s mission is to develop capability and capacity for research data curation in the UK and to engage internationally in support of that aim. The DCC combines national services (for tasks such as data management planning and dataset discovery) with intensive support for individual institutions to develop and plan research data services. Kevin and other DCC staff also participate in European projects such as 4C, the Collaboration to Clarify the Costs of Curation (4cproject.eu) and FOSTER, promoting open research methods (fosteropenscience.eu.) He serves on a number of advisory and guidance bodies in the field of digital preservation and research data infrastructure and is vice-chair of the Digital Preservation Coalition. Kevin was formerly (1997-2010) Head of Digital Archives Department, University of London Computer Centre (ULCC), where his team delivered digital preservation and repository services to organisations including the UK National Archives, the British Library and AIM25, the collaborative network of over 100 archives in London. These services included NDAD, which captured, preserved and provided access to UK government datasets, the first service of its type in the world. He also developed and delivered training in digital preservation, including the award-winning digital preservation training programme (www.dptp.org). He was a member of the RLG/NARA task force which developed the TRAC methodology for repository audit and was chair of JISC’s Repositories and Preservation Advisory Group. He was previously involved in the development and standardisation of network protocols, active in bodies such as ANSI, BSI and EWOS. He began his career in a medical research unit devoted to innovative uses of IT in the support of clinical research and practice. Jean-Claude Burgelman is presently Head of Unit Science Policy, Foresight and Data in DG RTD. He joined the European Commission in 1999 as a Visiting Scientist in the Joint Research Centre (the Institute of Prospective Technological Studies – IPTS), where he became Head of the Information Society Unit in 2005. In January 2008, he moved to the Bureau of European Policy Advisers (attached to the president of the EC) as adviser for innovation policy. Since 1-10-2008, he joined DG RTD, as advisor and then Head of Unit in charge of top level advisory boards like the European Research and Innovation Area Board, the Innovation for Growth Group and the European Forum for Forward Looking Activities. Till 2000 he was full professor of communication technology policy at the Free University of Brussels, as well as director of the Centre for Studies on Media, Information and Telecommunication and was involved in science and technology assessment. He has been visiting professor at the University of Antwerp, the European College of Brughes and the University of South Africa and sits on several academic journals. He chaired the World Economic Forum’s Global Agenda Council on Innovation and was a member of its Science Advisory Committee. Włodzisław Duch graduated in theoretical physics from the Faculty of Mathematics, Physics and Chemistry of the Nicolaus Copernicus University (Toruń, Poland) in 1977, where three years later he defended his PhD thesis in quantum chemistry. In 1987, a degree of Doctor of Science was conferred upon him by this University (his postdoctoral thesis was dedicated to applied mathematics). He was awarded a professorship in 1997. In addition to theoretical physics and applied computer science, he is also involved in cognitive science, neurocognitive computer science and philosophy of the mind. He is the author or co-author of over 300 publications in professional journals, co-editor of more than 20 books, a member of numerous scientific societies and editorial boards of more than 20 international specialist journals. He has worked at many universities, including the University of Southern California in Los Angeles (1980-1982), the Max Planck Institutes (of Astrophysics and Psychology) in Munich (1984-2001), several universities in Japan, Nanyang Technological University in Singapore (2003-2008, 2010-2012) as well as at several other scientific institutions in Europe and the USA. In the years 2012-2014 he has been serving as the Vice-Rector of the Nicolaus Copernicus University for Research and Computerization. Since 2014, Włodzisław Duch is Under-Secretary of State in the Ministry of Science and Higher Education of Poland. Martin Hamilton is Futurist at Jisc in London. His work is all about identifying trends and emerging technologies that will affect the research, education and skills sector, and scoping out potential interventions that would help the sector to best take advantage of them. Current projects that Martin is working on include support for asset sharing between institutions and with industry, and Jisc’s Technology Foresight activity. Martin blogs about his work at http://martinh.net and you can follow him on Twitter as @martin_hamilton. Jisc is a registered charity championing the use of digital technologies in research, education and skills and providing a wide range of shared services for Universities and Colleges in the UK. Notable Jisc successes have included Janet, a world leading National Research and Education Network, groundbreaking content deals with publishers under the Jisc Collections umbrella, and breakthroughs in Access and Identity Management such as the UK Access Management Federation and the IETF standards track Moonshot project. Jisc has also sponsored pioneering work in Open Educational Resources, Open Access and Open Data which have helped to prepare the sector for transition to being “open by default”. More recently we have been active in Cloud brokerage. Daniel Hook is Director of Research Metrics at Digital Science and interim COO of Figshare. He works with the founders of four of the Digital Science companies and is responsible for the consultancy and data science teams. Prior to joining Digital Science Daniel was CEO of Symplectic Limited, a leading developer of research information management systems. Daniel has worked with many institutions around the world to understand their research information requirements from many different perspectives including: research administrators, librarians, repository managers, technical/IT, and researchers themselves. Mark Parsons. 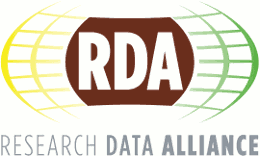 Before being appointed RDA Secretary General, Mark was the Managing Director of RDA/United States and the Rensselaer Center for the Digital Society. He focusses on stewarding research data and making them more accessible and useful across different ways of knowing. He has been leading major data stewardship efforts for more than 20 years, and received the American Geophysical Union Charles S. Falkenberg Award as an advocate of robust data stewardship as a vital component of Earth system science and as an important profession in its own right. Prior to joining Rensselaer, Parsons was a Senior Associate Scientist and the Lead Project Manager at the National Snow and Ice Data Center (NSIDC). 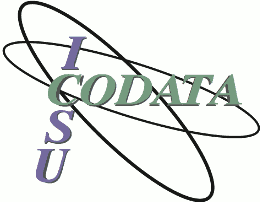 While at NSIDC, he defined and implemented their overall data management process and led the data management effort for the ICSU/WMO International Polar Year 2007-2008. He is currently active in several international committees while helping lead the Research Data Alliance in its goal of accelerating innovation through data exchange. His research interests include the role of scientific social interaction in the success, development, and extension of data sharing networks. Tim Smith is Head of Collaboration and Information Services at CERN. His group develops, installs and maintains instances of Invenio, the CERN Open Source Digital Repository system. He is heavily involved in initiatives to drive digital archives at the institutional and subject level and to populate them with content of a broad range of media types. 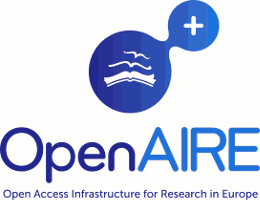 He drove the launch of Zenodo within the OpenAIRE project as an open data service for the long‐tail of science. He also drove the launch of the CERN Open Data Portal to share the LHC data. He is jointly responsible for CERN’s Open Source Licence Policy. Prior to these tasks he led teams responsible for computing farm management and physics data management. He holds a PhD in Particle Physics and performed research at the CERN LEP accelerators for 10 years. Mark Thorley is Head of Science Information for the UK’s Natural Environment Research Council (NERC). He is responsible for activities relating to scientific data and information management, including co-ordinating the activities of NERC’s network of environmental data centres. He is also convener of the Research Councils UK (RCUK) Research Outputs Network, which leads for RCUK on issues relating to scholarly communications and open access. As such, he has been prominent in the development and implementation of RCUK’s Open Access policy. He is a member of the Executive Committee of the International Council for Science’s Committee on Data for Science and Technology (ICSU – CODATA) and also a member of the Advisory Panel of ‘Scientific Data’ – the data journal from Nature. He is one of the contributors to the recent ICSU report on Open access to scientific data and literature and the assessment of research by metrics. He also helped develop the OECD’s Principles and Guidelines for Access to Research Data from Public Funding. He belongs to a small group of individuals who understand the landscape of open access and research data, from the technical through to the strategic, and the resulting implications for researchers and research organisations.